This simple no-cook ice cream base is a breeze to make—kids can even do the first step of adding all the ingredients together into the bowl. Just lend a hand when it comes to pureeing the mixture. 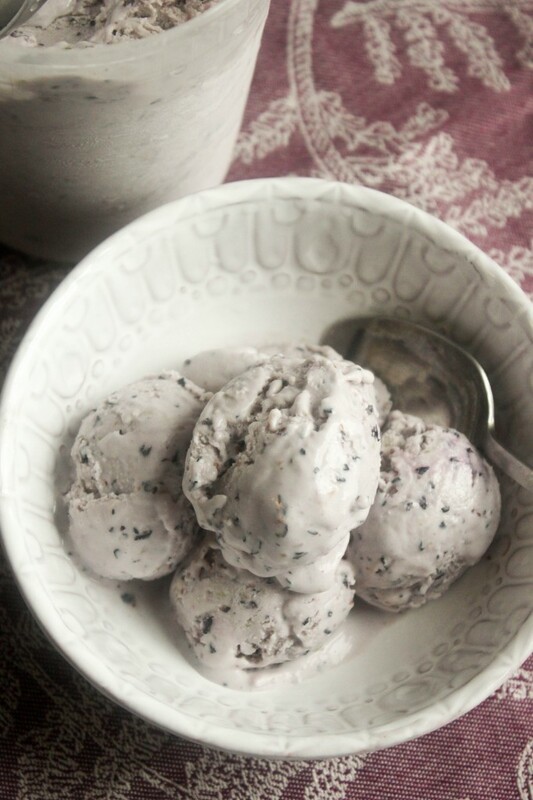 Homemade ice cream has never been so easy. Want to swap out the blueberries for strawberries or raspberries? Just substitute for the same amount of blueberries. 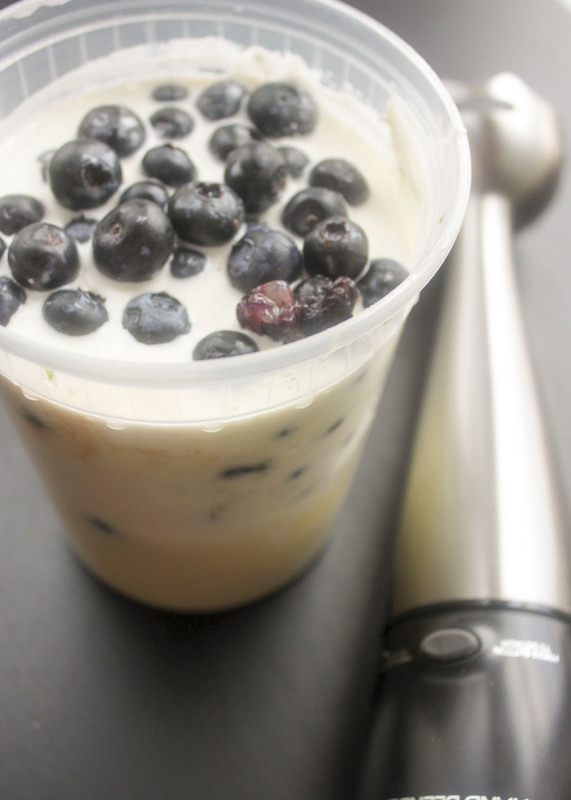 In a medium bowl or container, add cream cheese, lime zest, lime juice, condensed milk, cream, extract, and 1 ½ cups blueberries. 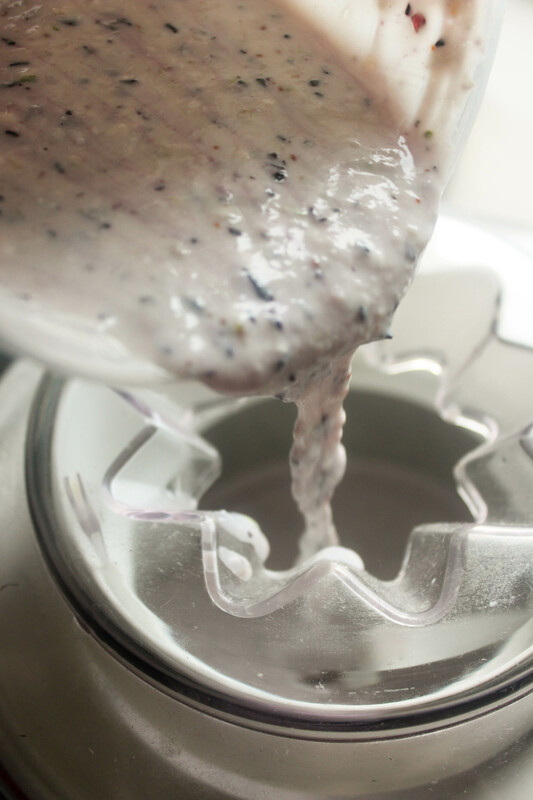 Use a handheld immersion blender or transfer to a food processor to puree until combined. Refrigerate ice cream base for a minimum of 4 hours to let flavors meld and mixture to completely chill. Process in your ice cream maker following the manufacturer’s directions, about 20 to 30 minutes. 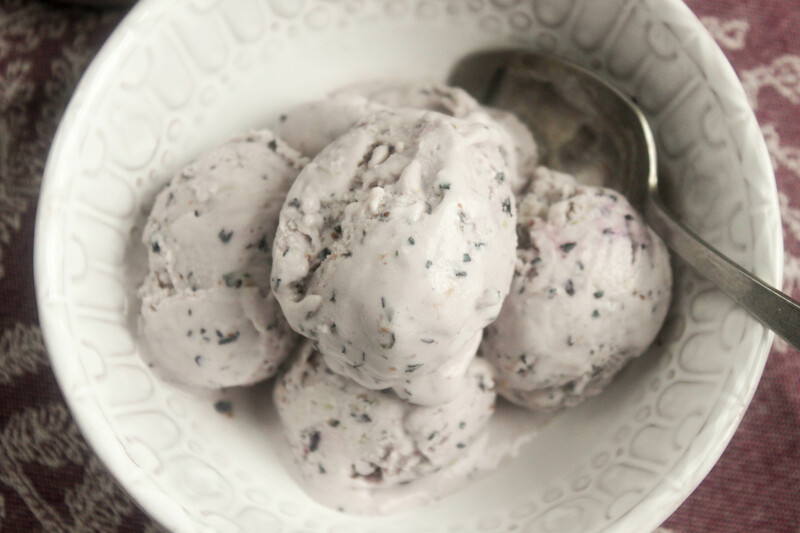 When ice cream is almost churned, pour in remaining 1/2 cup blueberries. Transfer to a container and freeze (ice cream will harden further when in the freezer). Serve.